The Nintendo Switch is, without doubt, the only gaming console that was able to conquer the modern day market in just a short amount of time. In fact, the unit is regarded as the fastest selling gaming device in the US with over 4.8 million units sold under ten months since its release. With that said, there’s really a lot of pressure for Nintendo to do just as good with the hybrid console’s successor, the Switch 2. In that regard, it seems like Curved has it down. The Youtube design/concept channel recently released their own take on the next Switch device – garnering amazing feedback from the community and critics, alike. In their design, they eliminated a lot of shortcomings the current Nintendo Switch has. From the awful kickstand to the less-than-stellar display, they had it all figured out. For the new Nintendo Switch 2, they installed a bigger 1280×720 display measuring 7.3 inches. When it comes to the JoyCons, they created something that was extendable -so as to cater for those with larger hands. They also customized the kickstand, making it more robust and steady -to balance out the handheld device. In addition, they also included a USB Type C connector to this concept model, which, we digress, will be for easier file transfers or charging. 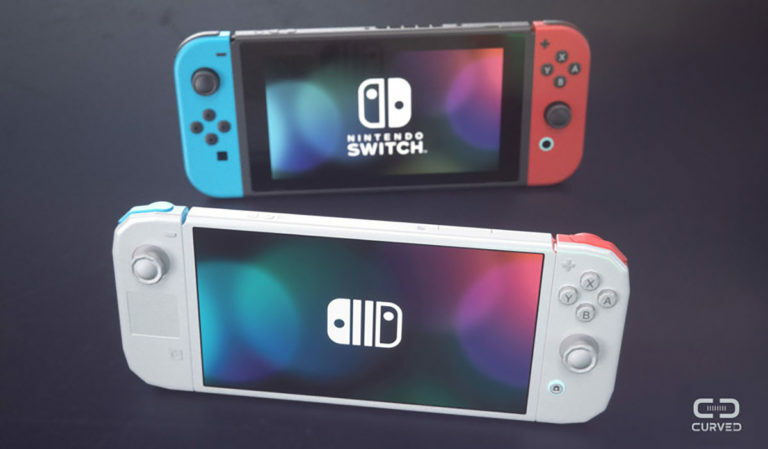 While this is no way telling fo what’s to come for the Nintendo Switch 2, it’s still nice to know that the community is making an effort to voice out what they want the next hybrid console to be. If ever Nintendo chooses to implement these suggestions, that will be a point for them in the fan department. As always, we urge our readers to take these developments with a grain of salt as the Nintendo Switch 2 is still far from appearing. Nintendo has mentioned beforehand that they’ll be waiting for a period of five to six years before they ultimately retire the current console. We suggest fans take this as a possibility rather than fact as confirmations have yet to be made.